I get lots of questions before the class has even read the syllabus about what you need. Perfectly understandable and kudos for wanting to be prepared…but if I answered every individual email I’d be typing away all day! :) So instead I made this post for you. If you have any more questions about it, please wait til class meets, as all teachers are in an insane amount of meetings the week before school begins, and I won’t have time to respond. the Photo area does have a handful of cameras you can check out weekly (at specific times when our Photo Aide is in the lab). And if you don’t have your own computer with photoshop, you can always sign up for the additional lab class Artph 306 on friday mornings with Craig Smith–the class is there to give you extra time with the computers and photoshop! You can also use the LRC for photoshop. The most important thing to look at is the aperture setting. If you’ve got that then most likely all the other features will be there. How do you know what apertures are there? 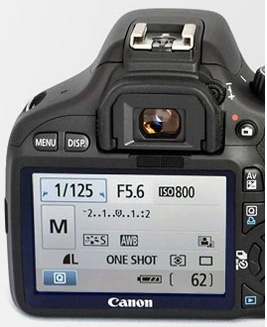 Well, here’s what you do: change the setting on top of the camera to Av (or A. Either way, it stands for Aperture). Yeah, but I have camera blah blah blah, does it work? Read the first two paragraphs of the post and test it yourself. If you read this, ignore it and try to hand me your camera the first day of class…I’m going to hand it back and give you these instructions. We want you to be the master of your camera, and you gotta start somewhere, right? Memory card for your camera. Get one that is only for your homework, no family stuff! I suggest 8 Gb cards. If you get a huge one like 16 or 32 Gb, you will have a hard time loading it thru Photoshop because you’ll have too many pictures on your card. Flash Drive: also called a pen drive, usb drive, thumb drive…you need at least 1G. When I give you files to copy for homework, this is what you’ll use to copy them with. You don’t wanna copy them to your camera, because that’s the easiest way to get viruses or frozen files. Software: You will need access to Adobe Bride (it’s a free download right now) and Photoshop CS6 or CC (we use CC in the lab). Photoshop CC is a subscription service that you buy thru Adobe.com (or use one of the schools computer labs when they are available). A photo grey card: A real one, not some random piece of grey construction paper. Photo Prints: If you print at home you’ll need to buy quality photo paper…but talk to me in lab some time before you decide to. You may go the photo lab route instead. One way or the other, make sure you set aside some money for 10 8×10 prints. Time Outside of Class: You will also need the internet outside of class time, and you’ll need to set aside a couple of hours every week to shoot your homework. Usb cord: you *may* need this. You should get one in the box with your camera, but if you’ve lost it, let’s wait and see if you actually need it before you buy another. Where do I buy all this stuff? Well, the camera can be bought at Best Buy, Frys, Costco, online at Amazon…they come in a kit with the lens, battery, charger, and usb cord, so look for those deals. You can also might find them at Action Camera, PhotoSource, or Filco but I would call first. You never know if some other student bought it already and they’re out of stock. They will also have some of these other supplies, but you can often find them cheaper at the big stores like Frys or BestBuy, so shop smart. Some of this stuff is also available at the school bookstore. What Happened to Crime Photography?